Technology is enabling more valuable loyalty programs—for both the customer and the business—with better usability, real-time redemption, and better scalability. Blockchain specifically, has been discussed in financial services for a few years, and now its applications for retail are burgeoning and promising. Blockchain creates transparency, which encourages trust—imperative to establishing brand loyalty. Blockchain records are immutable and completely transparent, for both the retailer and the customer. Giving customers control over rewards, creating a permanent record, and building on that trust creates a strong foundation for a valuable rewards program. 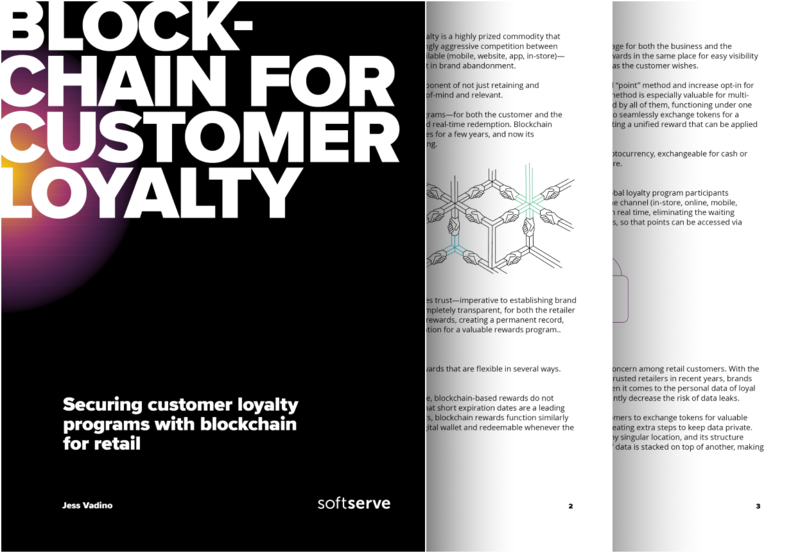 In our latest whitepaper, learn how to create your best loyalty program with blockchain. Download the whitepaper to learn how to improve loyalty programs for both your customers and your business.